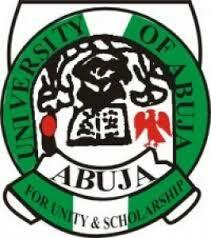 University of Abuja Management Suspends 2018 Students Union Government [SUG] Election Till Further Notice Over Cultist Attacks. The University of Abuja Management in its Emergency Meeting held on August 30th, 2018 reviewed the security situations in and around the Students Hostels in the Mini Campus Gwagwalada and directed that the 2018 Students Union Government [SUG] Election be suspended till further notice. The Suspension of the Students Union Government Elections is as a results of the security challenges within the University and its environs. The University Management is assiduously working round the clock to restore normalcy in the overall interest of the students and the entire University Community. As soon as normalcy is fully restored, suspension will be lifted for full blown election activities. Accordingly students are advised to focus on the forth coming Second Semester Examination and to report any security threat to the appropriate authorities for necessary actions.